The global software market grew by 4.8 per cent in 2013, with Microsoft remaining top dog, according to a new report by Gartner. Total software revenue last year was $407.3 billion (£244.8 billion, AU$440.9 billion), a decent increase on 2012's intake of $388.5 billion (£233.6 billion, AU$420.6 billion). Growth was strongest in developed markets. Unsurprisingly, Microsoft held the top slot, with six per cent revenue growth. Its revenue grew from $62 billion (£37.3 billion, AU$67.1 billion) to $65.7 billion (£39.5 billion, AU$71.1 billion). Oracle knocked IBM out of second place, however, with 3.4 per cent growth, compared to IBM's 1.4 per cent, which set it back to third. Both firms have extremely close revenue, however, at $29.6 billion (£17.8 billion, AU$32 billion) and $29.1 billion (£17.5 billion, AU$31.5 billion) respectively. 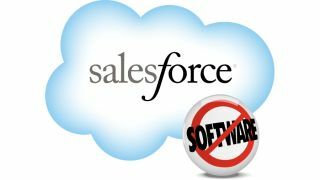 The biggest surprise in the top 10 chart is cloud firm Salesforce.com, which jumped from number 12 to number 10, with a whopping 33.3 per cent growth rate, far higher than any other company on the list. Its revenue, which jumped from $2.9 billion (£1.7 billion, AU$3.1 billion) in 2012 to $3.8 billion (£2.3 billion, AU$4.1 billion) in 2013, is still far behind the top four vendors, but if it keeps its growth rate it won't be long before it catches up. "The software market has been changing shape over the past five years, and cloud is driving the bulk of this change as software vendors acquire and provide applications and infrastructure technology to support the cloud and the Internet of Things (IoT) movement," said Joanne Correia, research vice president at Gartner. "A clear indicator of this is that for the first time we have a pure cloud vendor in the top 10."